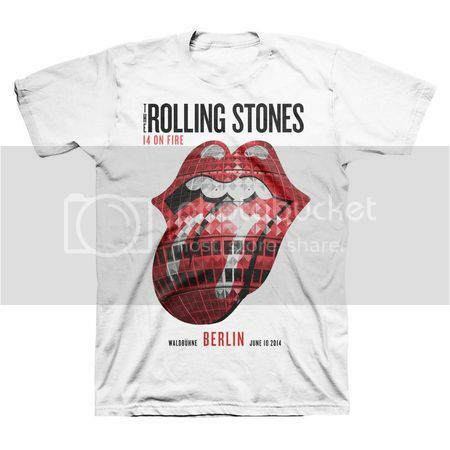 This thread is for live updates and comments regarding The Rolling Stones Waldbühne show in Berlin, Germany on 10 June 2014. Please tell us your pre- and post-show thoughts and comments here. Edited 1 time(s). Last edit at 2014-06-10 16:46 by bv. Yesterday afternoon in front of the Waldbühne-Gates: A 19 year old girl and her friend 20 years old in a tent to camp there until gates open today 1700 set. "You are big fans?" I asked. Laughed out loud. Very neat and wonderful Stones Story. There have been more than 200 fans outside the Stones hotel in Berlin all day. Some are just walking by and want to see the Stones, but also there are fans from Argentina, other countries in Europe, USA as well as most from Germany and Berlin of course. It is hot hot in Berlin, they say may be +35 C, and Waldbühne will be hot hot tonight. That's a nice photo bv, did you take it? It's from here: [www.BILD.de] . Have a great concert, everyone of the IORRians attending to it and the others (like me), who will be at home following the updates. BTW, at what time the concert is scheduled to begin? Edited 1 time(s). Last edit at 2014-06-10 18:01 by bv. Best picture of Mick and Woodie I have seen in a while. The photo is done by a professional photographer, David Fisher from the international photo agency REX. One of the best around. You can see Branderburger Tor is in the middle background of the picture. And no security people in the picture. It is 100% professional, and 100% great! Yep, a very cool picture, one of the best. It appears quite natural and unposed even if it isn't. 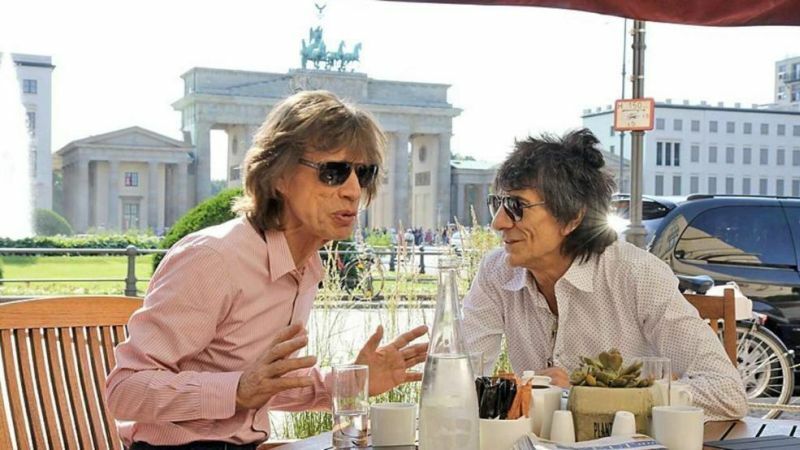 Good to see Mick and Ronnie hanging out together. If anyone spies a new event shirt or two when you get in, let us know? Have a great, great show, everyone, at this gem of a venue!! Looks like Mick has a Blackberry and Ronnie has an iPad ??? 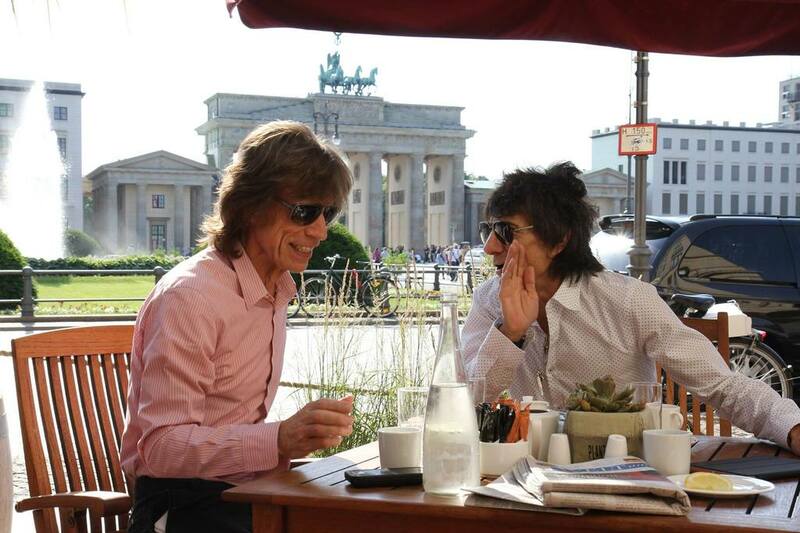 I like this second picture even better, looks like Ronnie is whispering something to Mick and he is smiling. It must be staged though, I doubt Mick speaks German well enough to read the Welt am Sonntag. Yes, and Ronnie was probably talking with Mick about reading some posts here complaining about the setlists. Have a great time this evening everyone! I have to second this although I'm not sure whether the picture had really been taken today as they claim on Facebook. Considering the "Welt am Sonntag" newspaper on the table it might be from yesterday. Considering the "Welt am Sonntag" newspaper on the table it might be from yesterday. First photo is from Bild. Caption says it was taken Monday. I wish all of You Berlin Waldbühne participants an SUPER Concert tonight!!! Must be a great memory to see the Boys at such a Place! Berlin seems to be ready! ....and I assume WahwahWoody are as well! Edited 4 time(s). Last edit at 2014-06-11 13:12 by sir sweden. That catwalk right in the middle of the circular infield is just great! Have fun all you lucky ones!!! they're probably talking about ___________. Catwalk with a mini-B stage! The stage looks terrific and so do Mick and Ronnie...have to smile, imagining Keith back at the hotel snoring away while the two social butterflies are taking in a leisurely lunch. Charlie is probably sketching the hotel room. That poster t shirt is nice, if anyone wants to pick up an extra one...men's or women's small, please. Angee - so sorry to read that you were not able to go to the show. I hope you are well and able to travel soon.